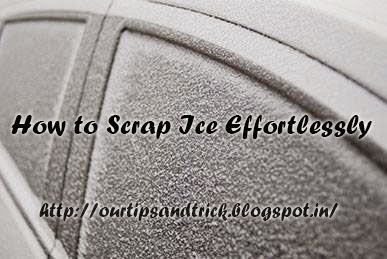 If you hate scraping ice as much as I do here is the good news. Fill a spray bottle with 1/3 water and 2/3 vinegar. Your magic solution is ready. Spray on iced window & the ice will melt away. No need of scraping. If you have any other solutions do share with us.